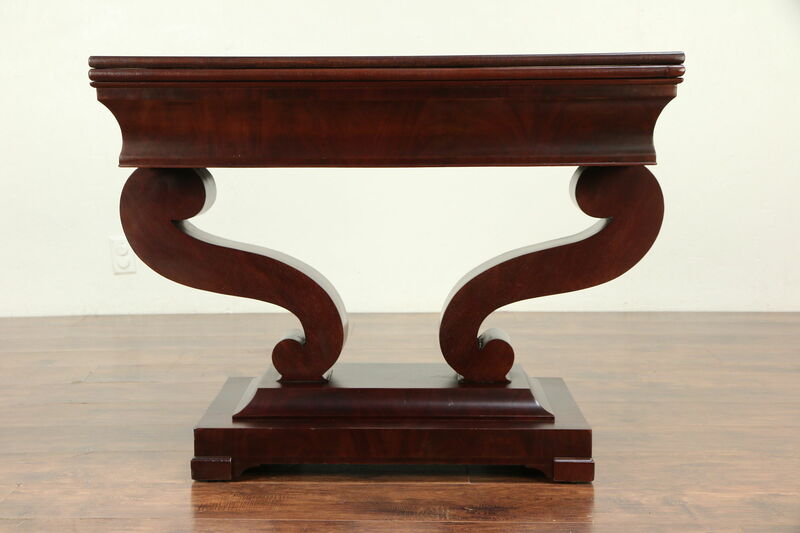 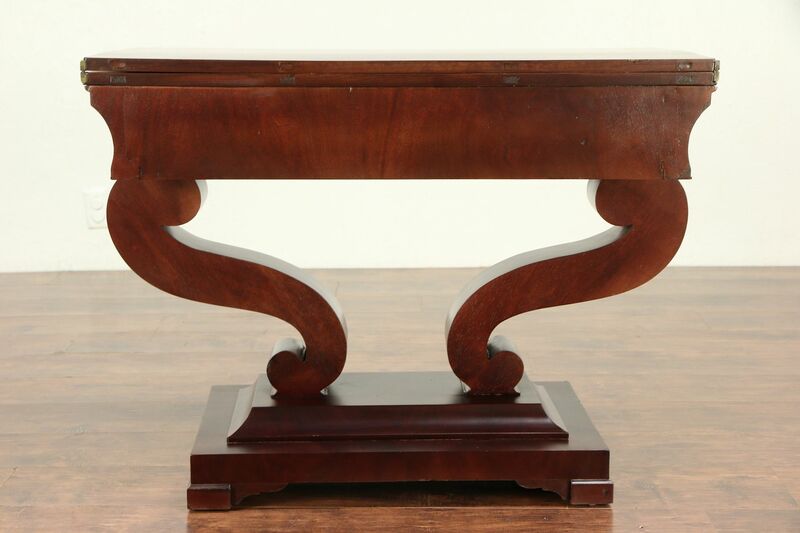 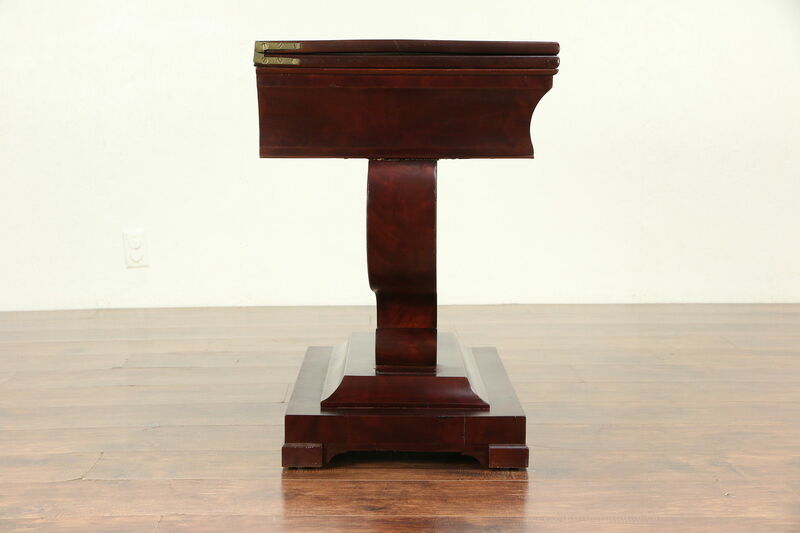 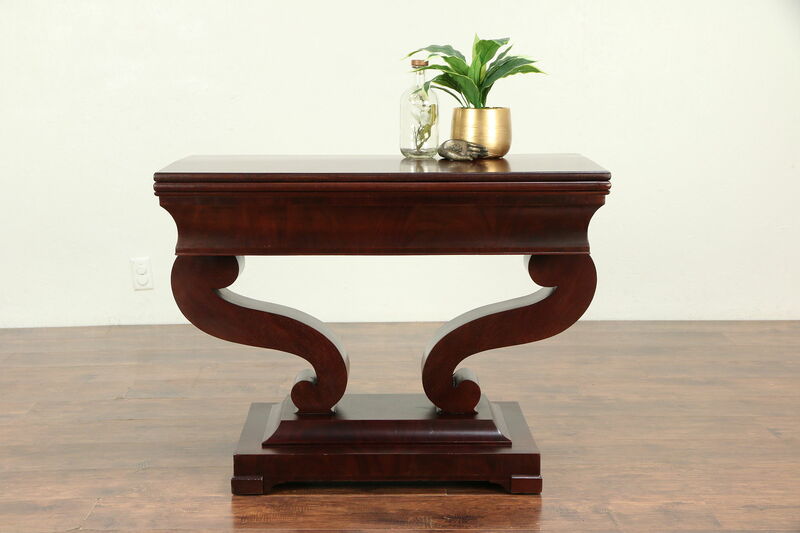 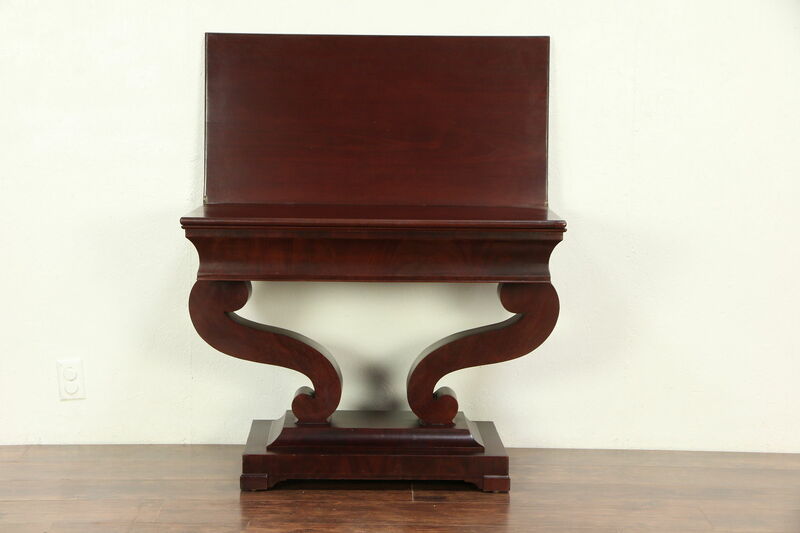 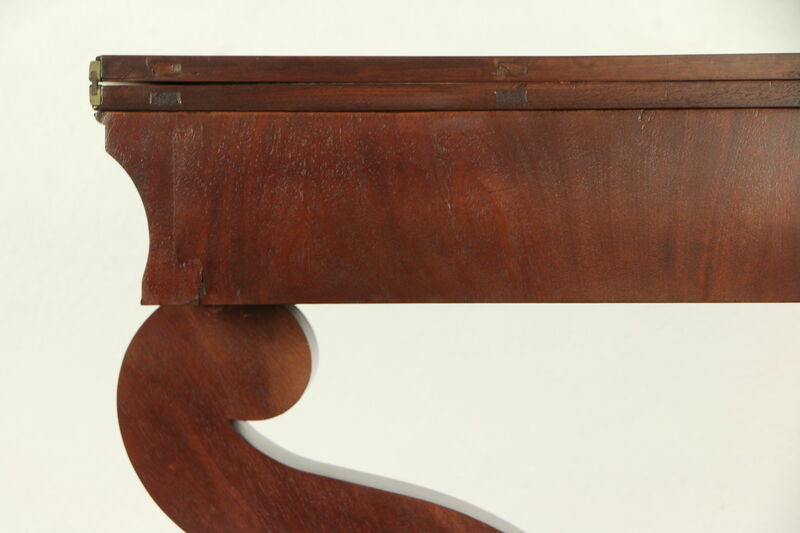 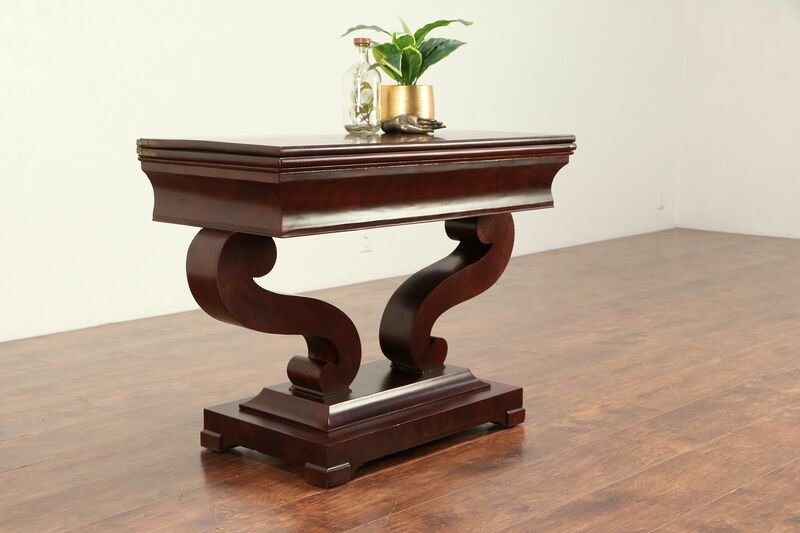 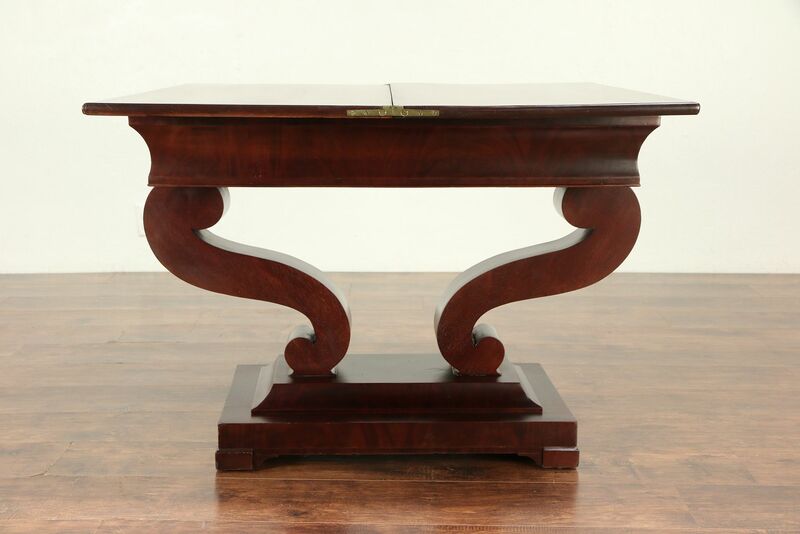 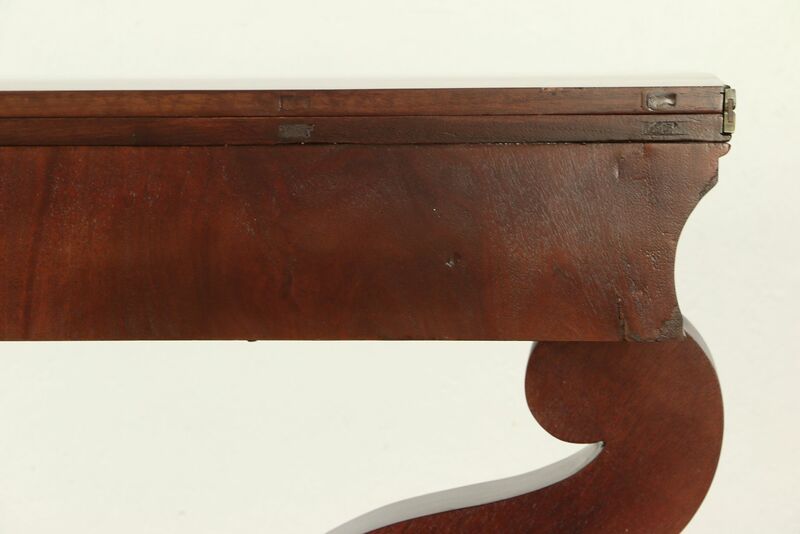 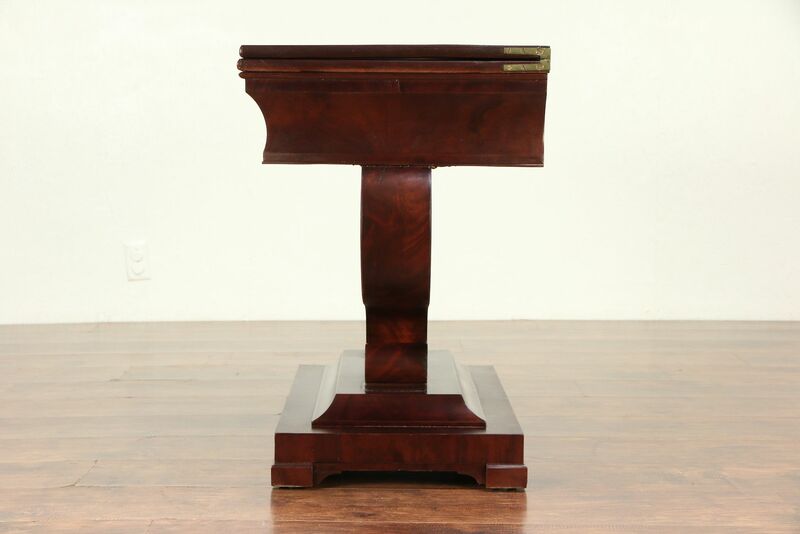 Authentic American Empire furniture from about 1835, this grand console table has a stylized lyre base. 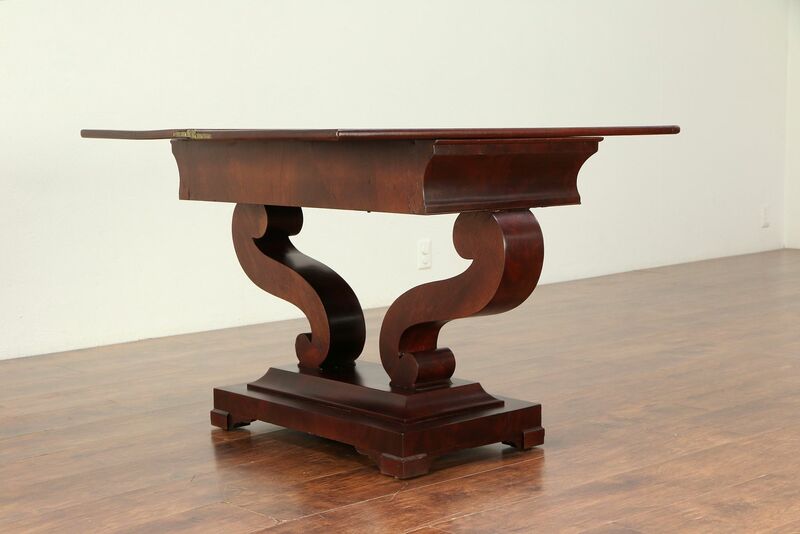 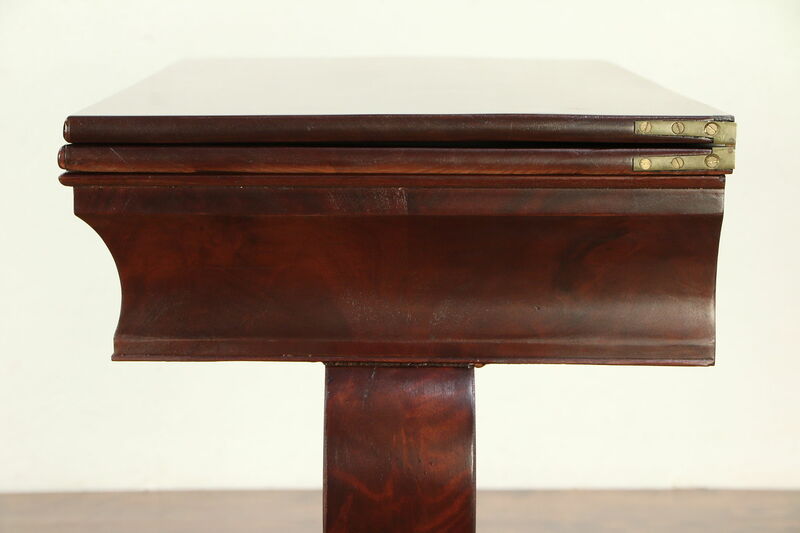 The top swivels and flips open to form a game table. 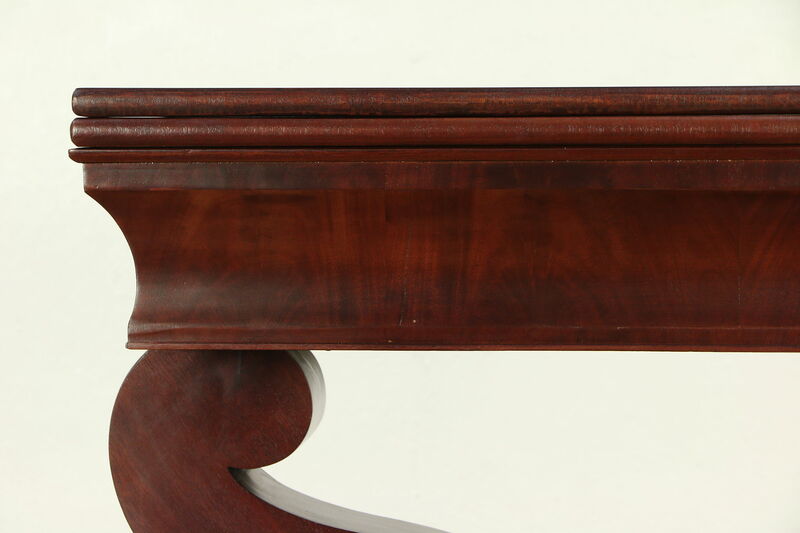 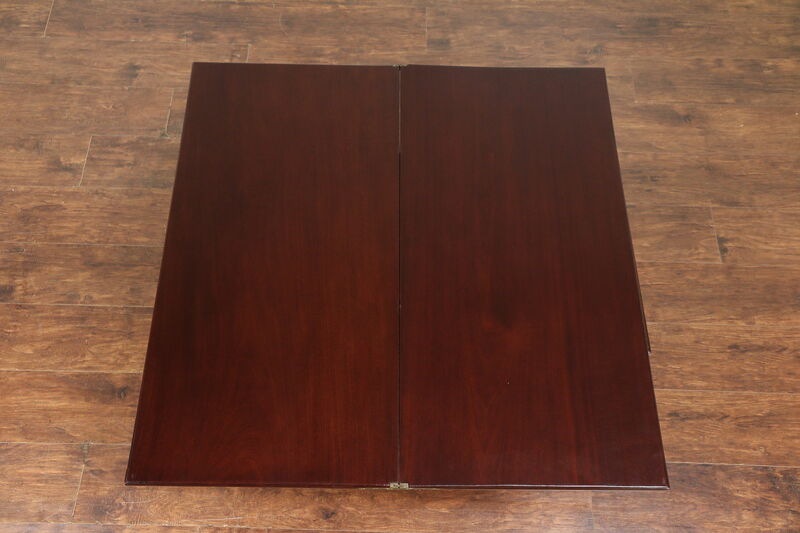 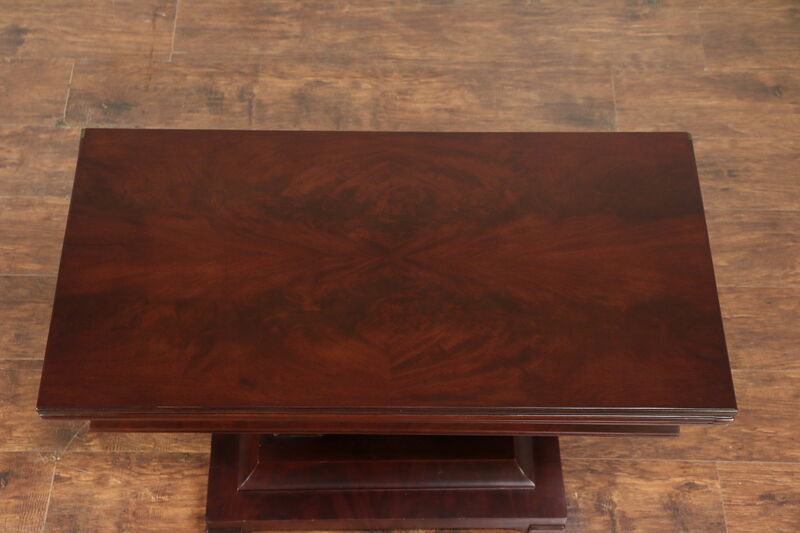 Mahogany with a superb satiny restored finish, the top is quarter matched flame grain. 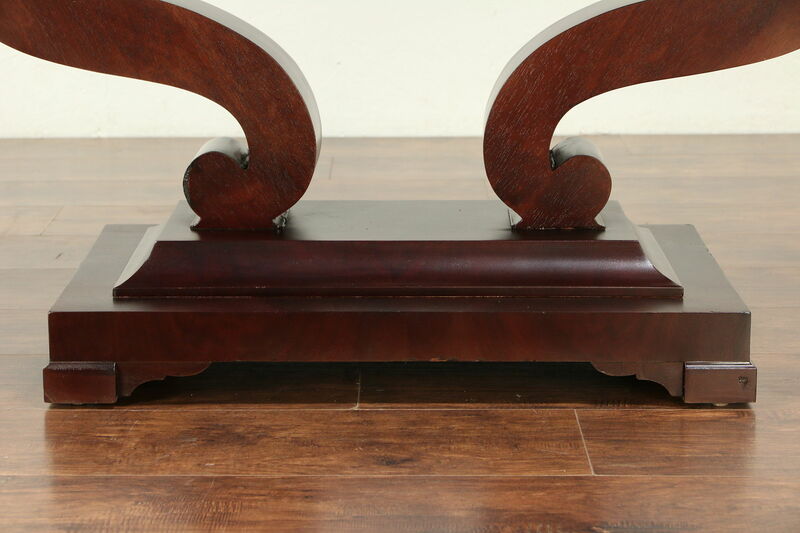 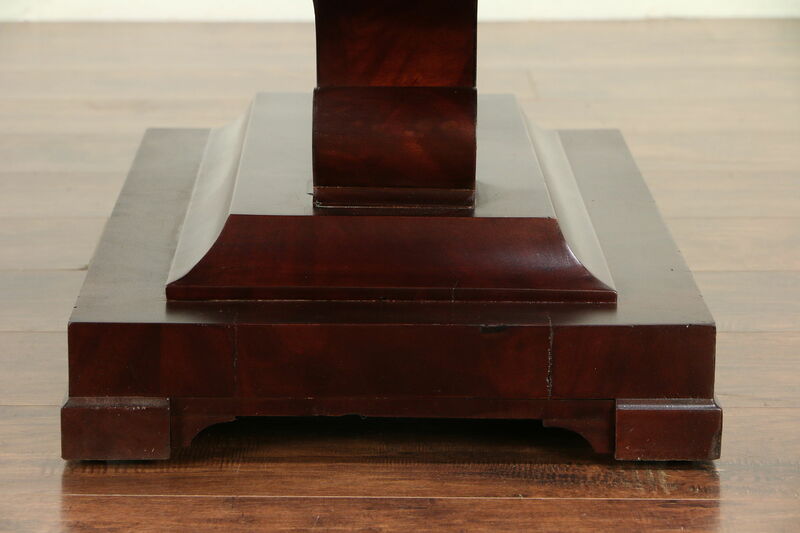 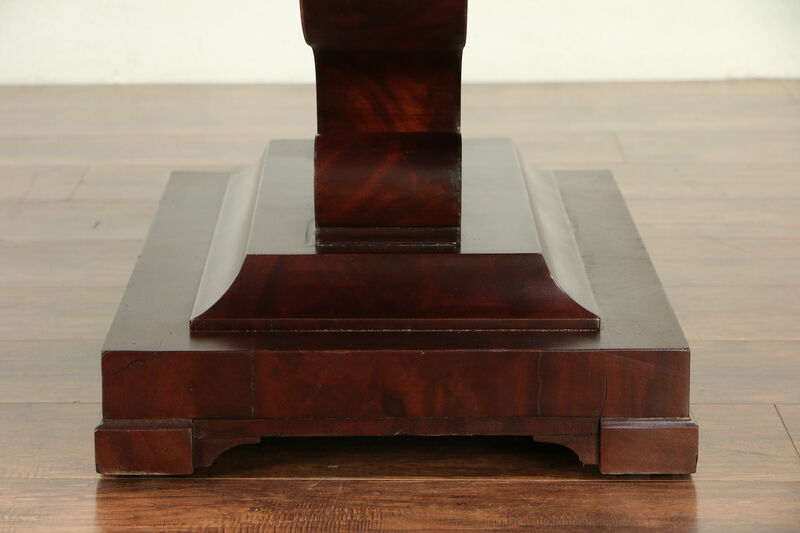 Both halves of the inside are single planks of gorgeous figured solid mahogany. 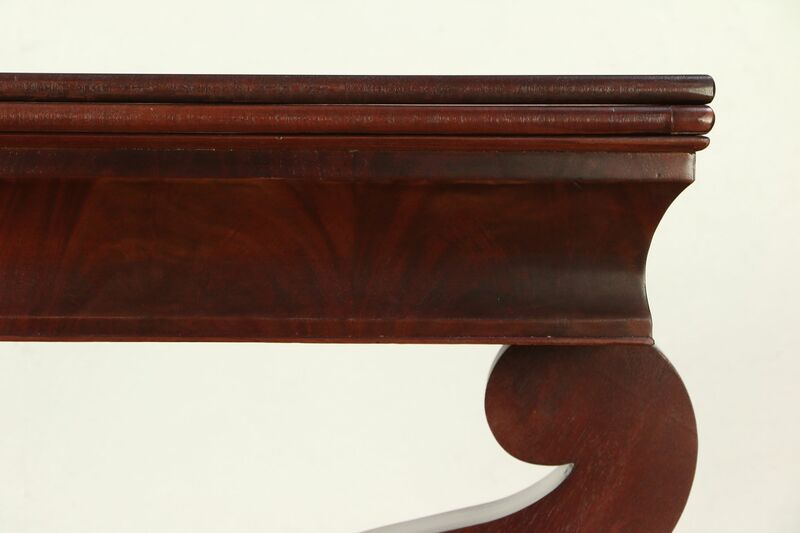 There are mars at the edges and shrinkage separations from age for a little antique character. 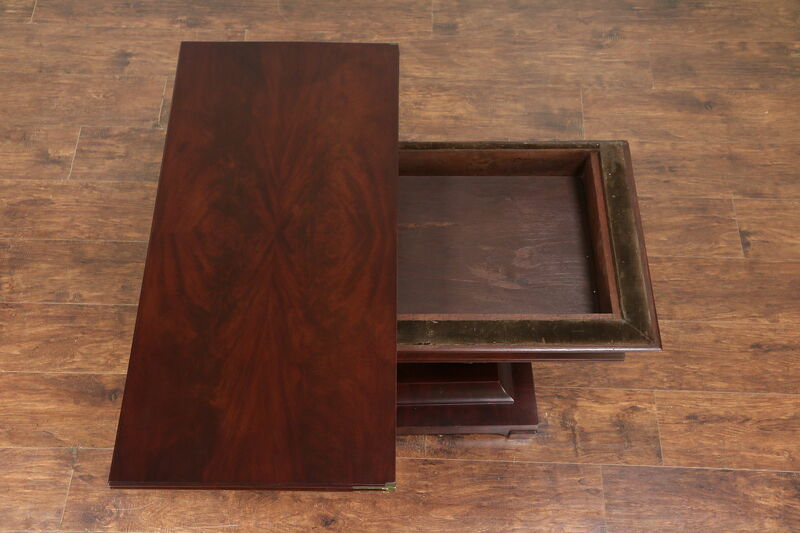 Underneath is a secret compartment. 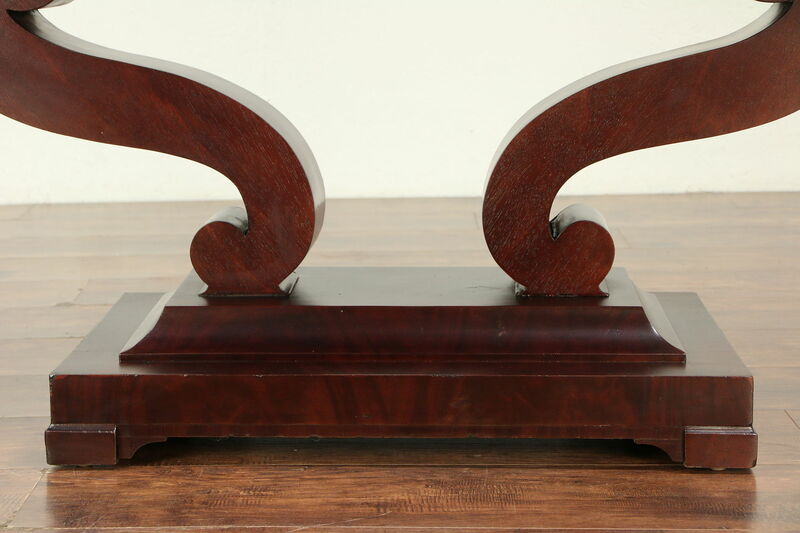 Said to have been from New York, the substantial proportions are well balanced. 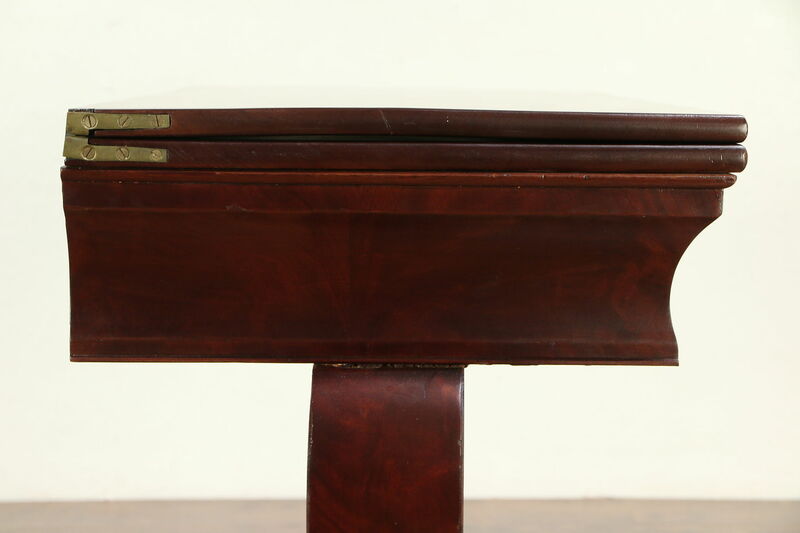 Closed dimensions are 37" wide, 18" deep and 28" tall, when opened, the top is 37" x 36."